Everyone knows the stars of the movie "Jaws". Between them, the three actors had Oscar nominations for five other roles and one win for best actor. All three leads had long and distinguished filmographies. I would never say anything to diminish the contributions that they made to the film. The movie however has a background cast that is made up not of necessarily great actors but great faces. 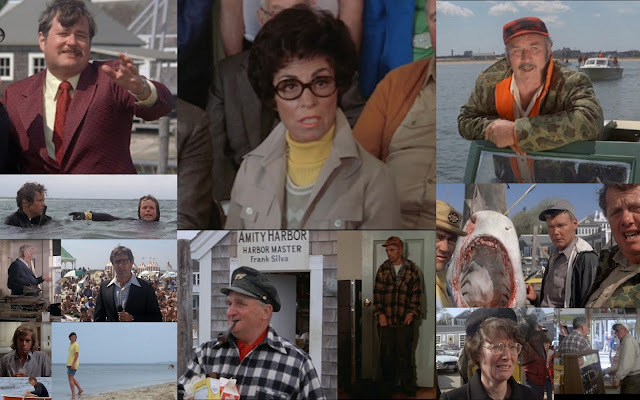 When you look at the characters, most of whom appeared in only one scene and often without a line, you get a real feeling for the community of fishermen and tourist business owners and other locals that are likely to make up the population of Amity Island. Robert Shaw's Quint is shadowed in his scenes on land by a mysterious, mute, slack jawed lackey with a dog. He may be Quint's usual assistant, but he apparently knows better than to get on the Orca with Quint in full Ahab mode. Ben Gardner's most famous moment occurs underwater and at night, but he lends credibility to the film as the charter boat captain that thinks all of the bounty hunting fishermen are looney. Locals like Polly, the Chief's secretary, seem to have aged under the sun and the fog of the island. We only see the back of the irate store owner as he berates the jobber who failed to bring in the correct summer stock, but we can tell from his posture and the face of the man he is confronting, he expects people to listen to him. The harbor master is almost a parody of old sea captains from the area, and by the way he was a dead ringer for my Father in Law. The collection of oddballs they gathered for the successful bounty hunters is hysterical. One guy looks like the kid from "Deliverance" all grown up, the other two look like bowling pros who are slumming for the weekend by fishing for shark. The media guys are played by real media guys, slightly out of their element. Benchly looks like a condescending elitist, pontificating on camera about the island being terrorized. Screenwriter Gottlieb is mostly in the background but fits as the reporter who is more booster than newsman. The stuntman who dies in the estuary looks more like he belonged in the little rowboat he occupied than any day sailing vessel. The poor kid on the beach who can't find his dog, victim number two who is often over looked, Pipet, has a nice forlorn expression. College boy drunk who missed out on getting with Chrissy and being dessert, has the long blond hair of a college crew member on Hartford's rowing team. Best of all, the two little stinkers who play the practical joke with the cardboard fin are perfectly snotty and whiny when they get caught. The speed with which the younger one throws his partner under the bus was amazing and he had the face of a squealer to match the performance. 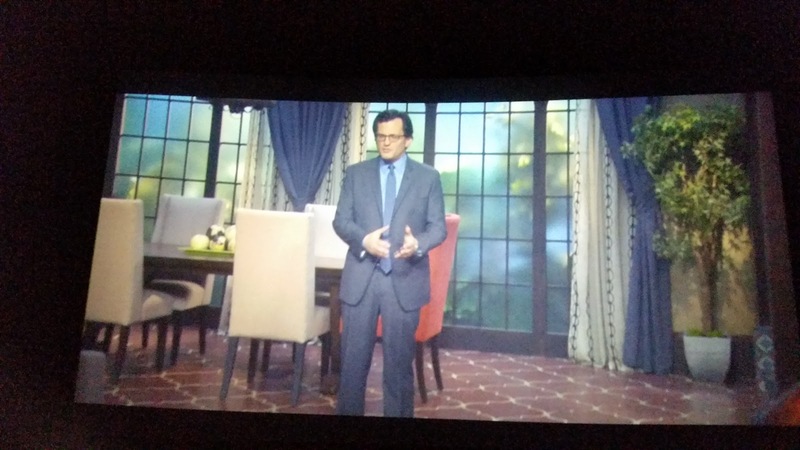 One last face to include from this evenings screening, TCM Host Ben Mankiewicz. If you left before the credits were over, you missed a nice little coda that was also an ad for "Double Indemnity" next month.